Mighty Melody likes to play what the Jungle massive wants! From crunchy Old School tunes to the latest Ragga Jungle releases she knows to run the sound. As one member of the Séance de Danse promotercrew in Dresden she was host of many famous Jungle artists as Jacky Murda, Tester, Top Cat, and Tenor Fly. Last years Mighty Melody went on two tours in Northamerica and played frequently shows all over Europe. 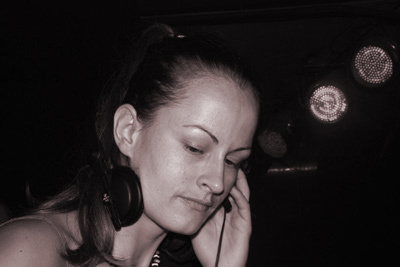 In 2009 she started producing and released her first Jungle tunes on the U.S based label Dub Chambers Records. Since then several Ragga Jungle remixes have appeared in a steady flow. Mighty Melody is currently resident at Blackboard Jungle a show taking place regulary at Altes Wettbüro in Dresden.